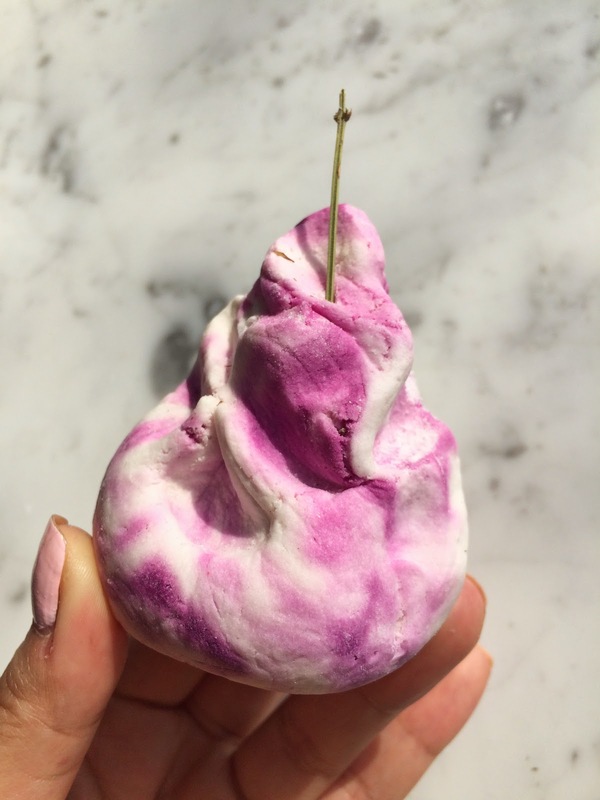 Taking a bath with Lush products feels so luxurious, thus perfect for pamper time! 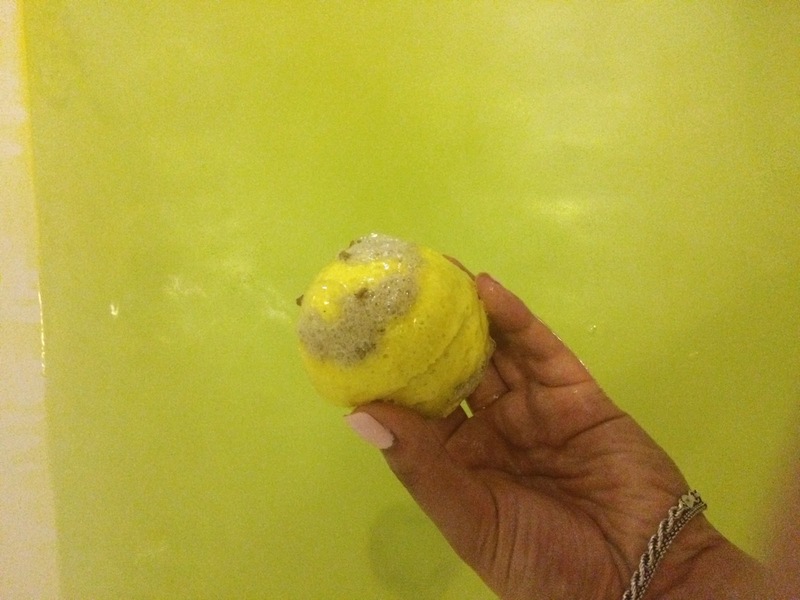 I have tried two Lush bubble bars before and even though the seller told me that you can use one bubble bar twice, I am using it sparingly up to 5 fives of The Comforter! 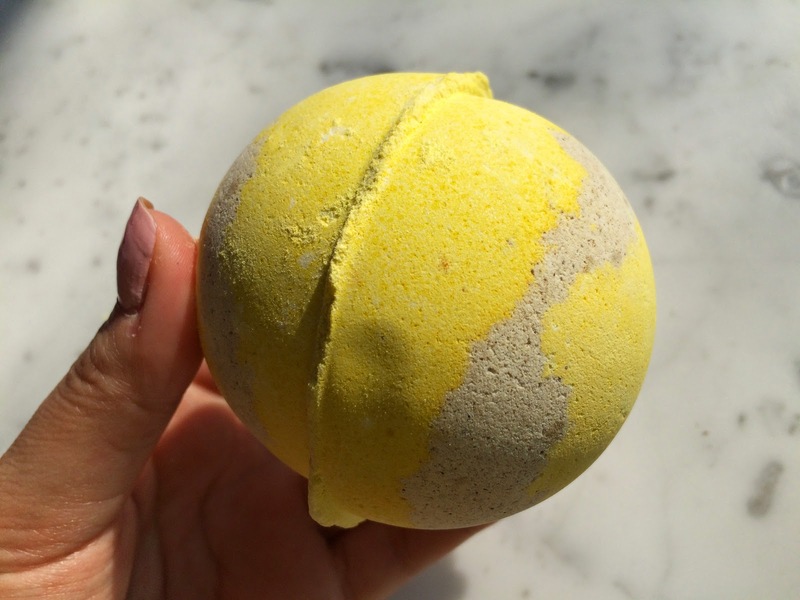 I went to the Lush in the Kalverstraat in Amsterdam and to be honest I was a little bit disappointed, because a lot of their bath bubble bars and bath bombs didn't smell that nice in my opinion. 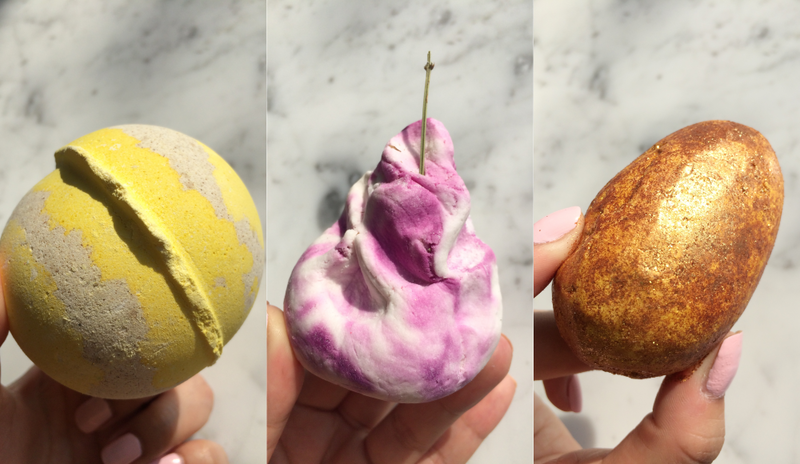 Nevertheless, I bought 3 new ones that do smell nice to stock up! Honey Bee has a light but sweet scent, like a citrus. 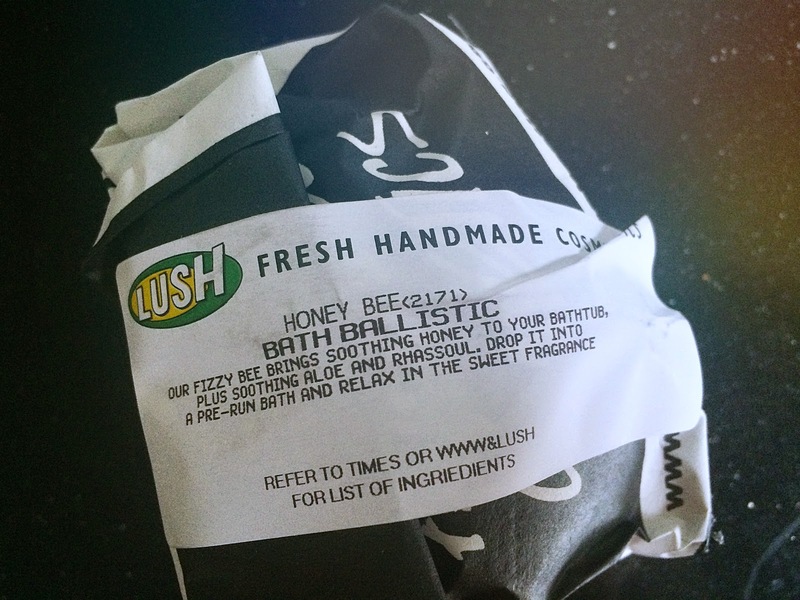 Smells like a refreshed honey, because of the aloe and orange. 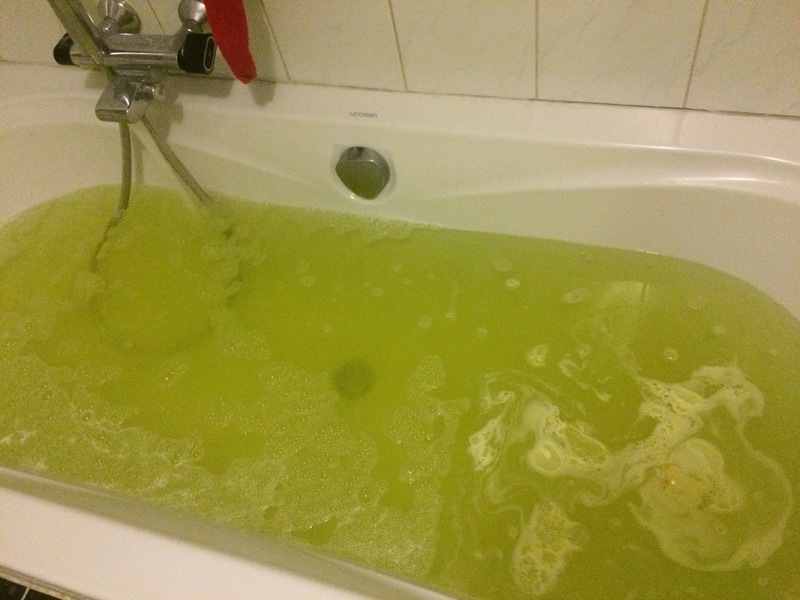 The bath bomb is fizzing in the bath, no foam at all. 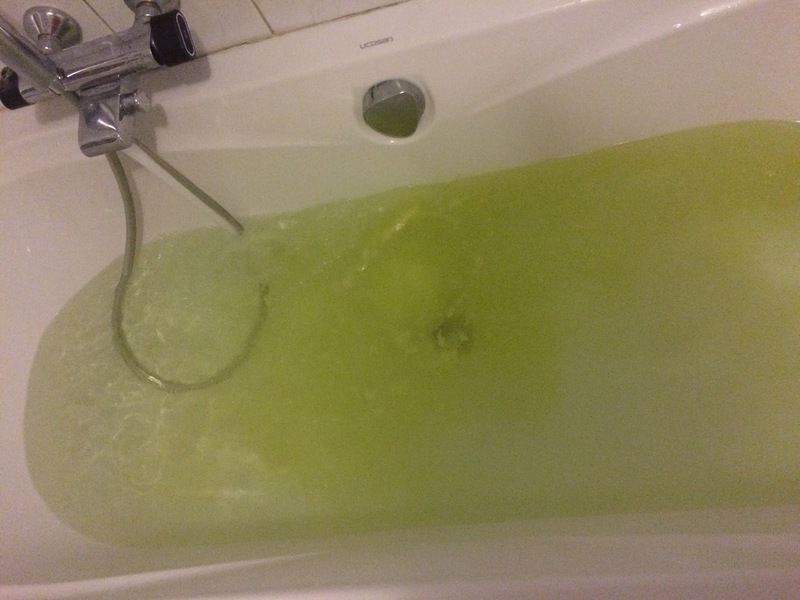 After the bath bomb has completely solved in the water, the bath water will be yellow. 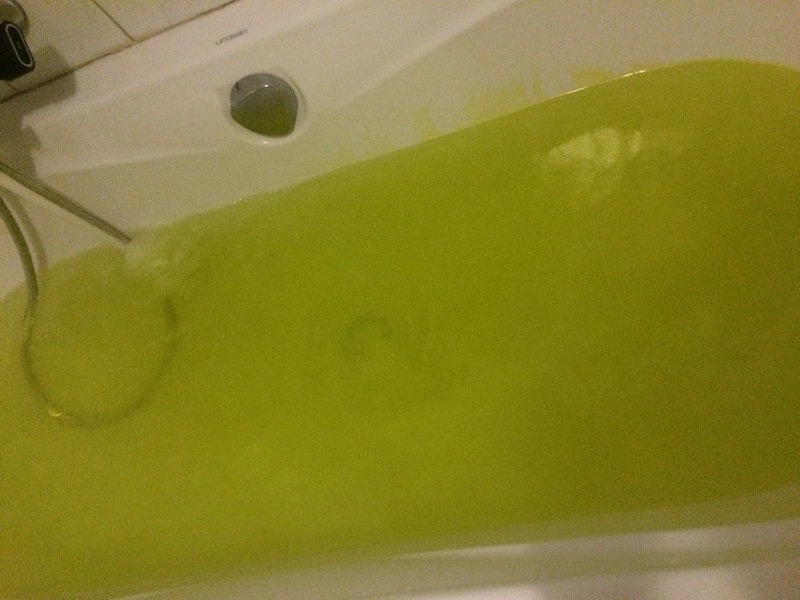 Water feels soft and has a light refreshed honey smell. To be honest, I was a bit disappointed about this one. 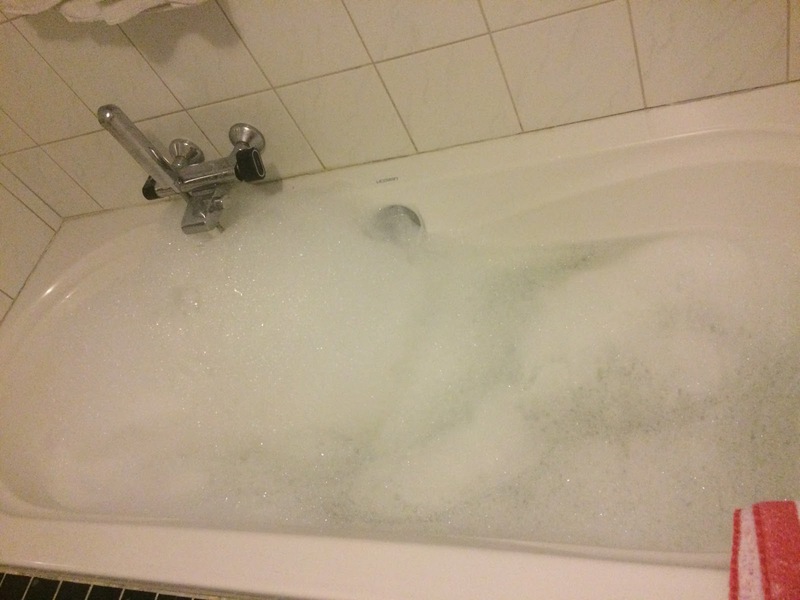 Maybe I expected too much, or maybe bubble bars which do creates foam are more my thingy. 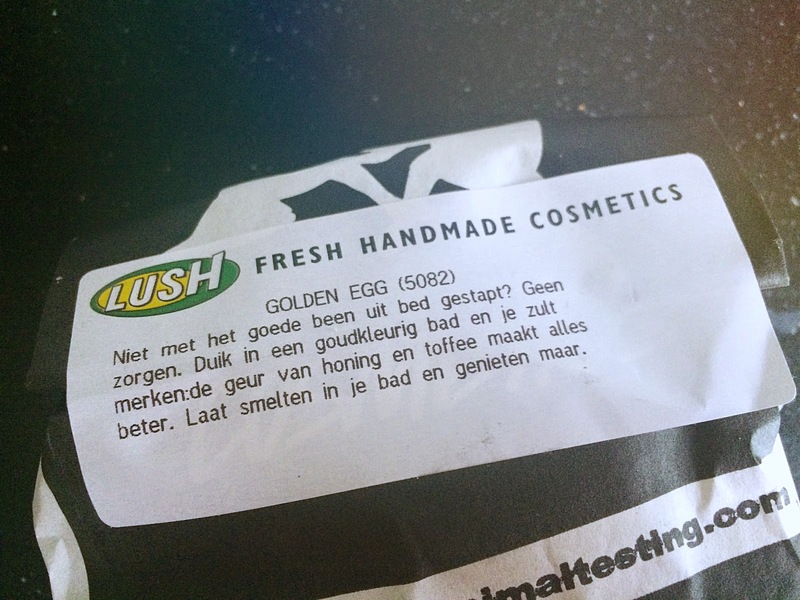 It has a nice scent, but further is nothing really spectaculair.. I wouldn't buy this again. 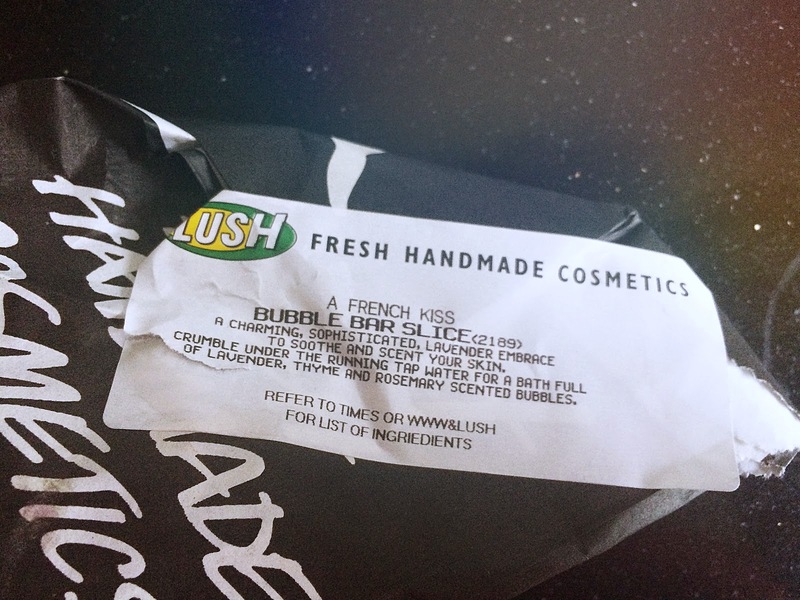 A French Kiss does foam up, since it's a bubble bar. 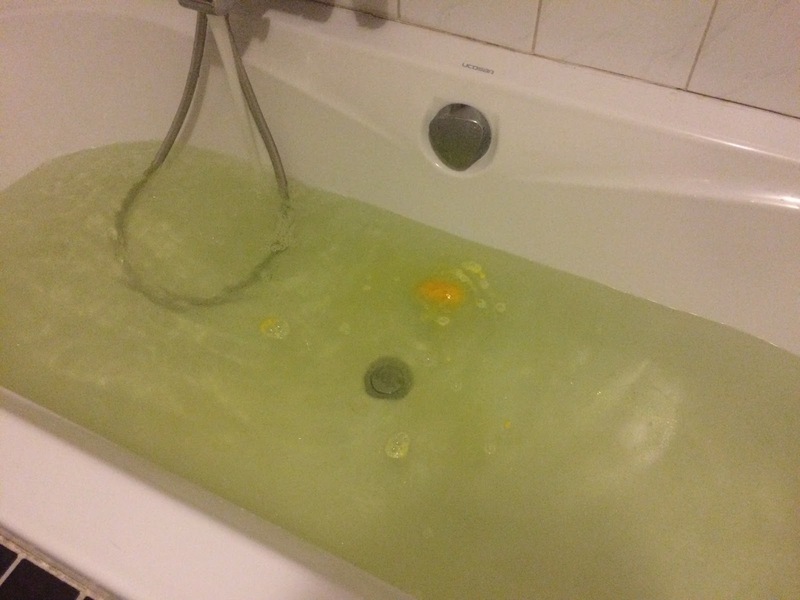 It creates some foam, but not a lot. It smells really nice like lavender, thyme and rosemary. This was nice, but isn't in my favourites. 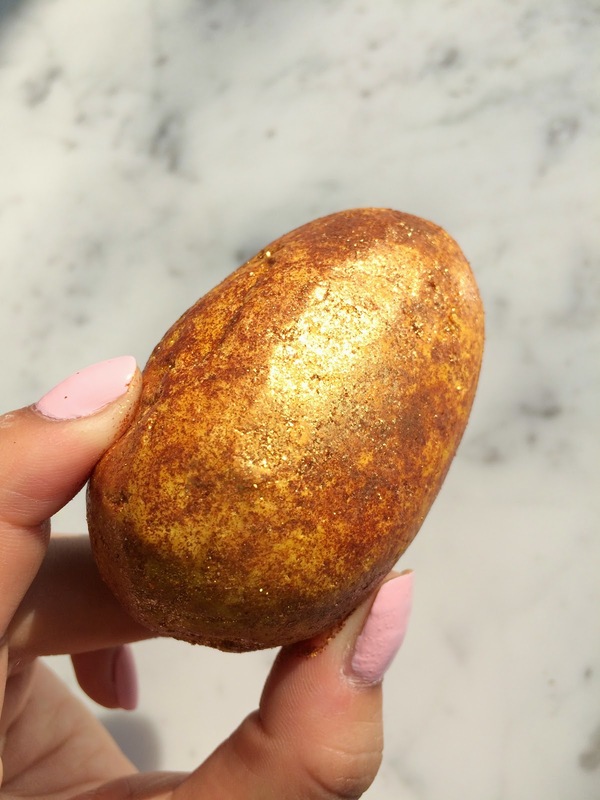 The Golden Egg took a long time to dissolve completely. 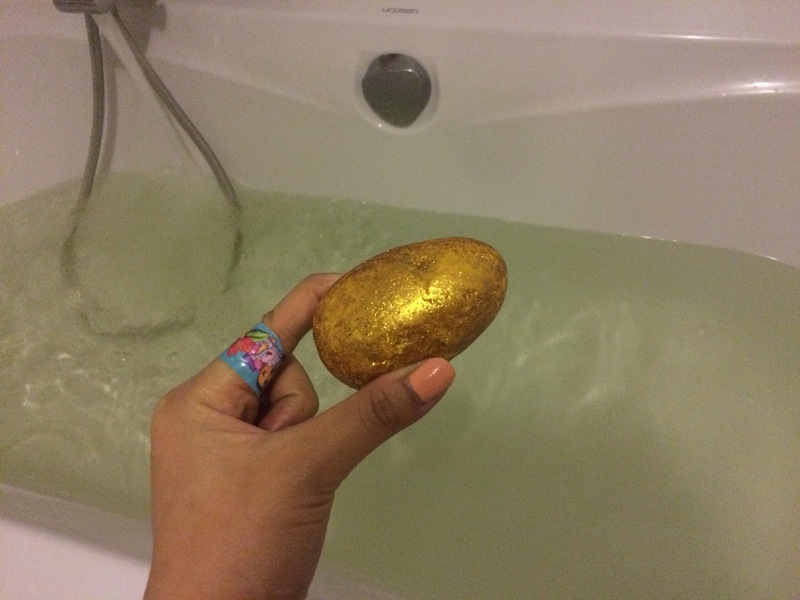 It is a really nice soft glittery yellowy bath. Thus this was the best of the three I purchased. You could really smell the toffee (not that sweet) and honey.